Sire is a Russian import, big bones with a thick dense coat, and amazing head, so handsome. His pedigree is from very very old Russian foundation lines with some extremely famous Siberians in very near generations in his pedigree. Sire has 9 International Champions, 2 European Champions, 3 Grand International Champions and 9 Champions. Dam is Polish import and is a very bright golden, and this is where our little guy gets his very beautiful colouring from. Dam pedigree has ***6 World Champions*** ***7 Grand International Champions, 8 International Champions and 6 Champions within her pedigree. 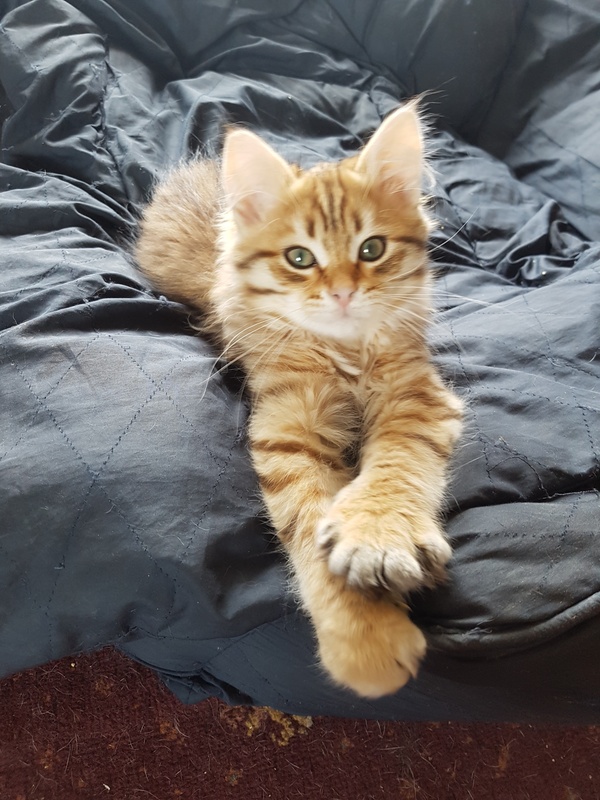 This little guy has outstanding bloodline, beautiful golden colouring and fabulous green eyes! Elgol is ready and waiting for his loving home 20th August to check and vetted home.